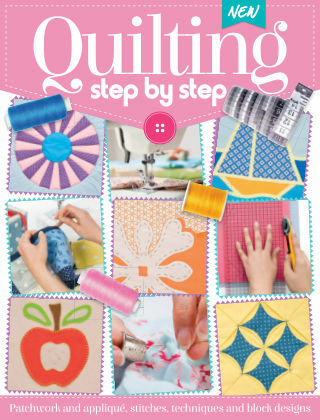 With Readly you can read Quilting Step by Step and thousands of other magazines on your tablet and smartphone. Get access to all with just one subscription. New releases and back issues – all included. A technique of stitching together layers of textiles, quilting has existed for centuries all over the world. No longer a pat of make do and mend necessity, quilting has become and art form and a hobby for many. With the help of a few essential tools, quilts, wall hangings and other quilted items can be crafted from scratch. Easy-to-follow tutorials in this book will guide you through every step of creating intricate patchwork and appliqué quilts. Featuring: Tools and materials - There is a huge selection of specialised tools for quilting and we talk you through them all. Design principles and techniques - Breaking patterns down into working units and planning blocks. Patchwork - Basic techniques and different methods for patchworking. Finishing - The final stages of your quilt’s creation.